Orbit wheels are almost like skateboards and inline skates, but offers more freedom and simplicity than either of the two. The design involves two wheels, and a footrest in the middle. 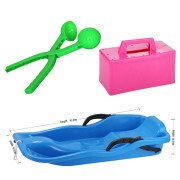 They are designed for use with two feet, giving you unlimited capabilities to different tricks and maneuvers which can be as creative as your imagination. Each wheel around each footrest rotates sideways to give the user momentum. 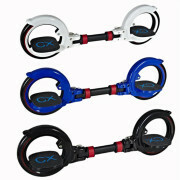 Orbit wheels are simple to use compared to skateboards and inline skates. Once you have placed your foot on the foot rest, then you are ready to go. Orbit wheel does not require strapping and the wheels are moved by a sideways motion of the feet. Once your orbit wheel is in motion, then you’ll move as if you are on skateboard, with your effort being the back and forth movement of the feet on the sideways. 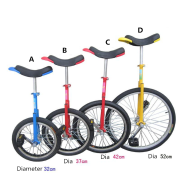 The main advantage in terms of efficiency and portability, is the ability of the wheel being large enough to be used on a sidewalk and ground terrain and at the same time being thin enough to be carried around easily without the need of folding them down. Most orbit wheels have a maximum user weight of 113 kilograms, but this is not the standard maximum weight. 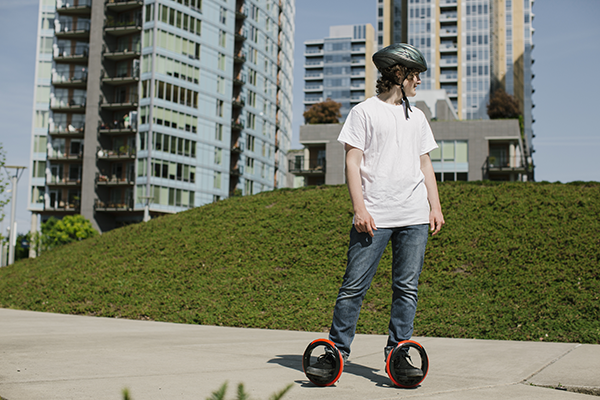 Compared to skateboards and inline skates, orbit wheels are great for light transportation. Their handling is easier and they weigh much less than the normal skates and skateboards. Due to the use of sideways motion, orbit wheels allow much longer rides without having to push off on the ground for momentum like the skateboards. In brief, orbit wheels have been termed as a revolution in green transportation due to their environmentally friendly usage. Also, they can help attract new people in the skating sport due to their easy portability and easy usage. Everyone should grab one for a great experience.